July 13th marked the one-year anniversary of the day that George Zimmerman was found not guilty on all charges in the 2012 fatal shooting of Trayvon Martin. 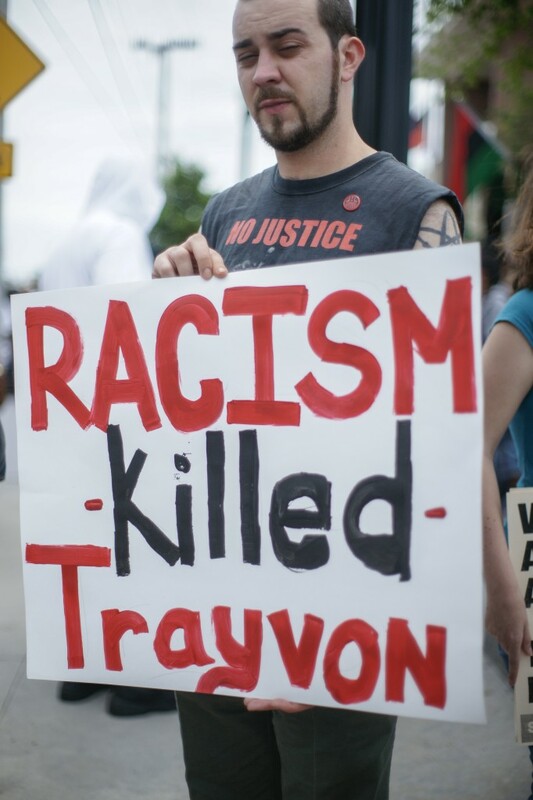 Martin’s death sparked massive national conversations about racism, gun regulations, and Stand Your Ground, a controversial law that removes the duty to retreat from the elements of self-defense and played a huge role in the case against Zimmerman. In the wake of this tragedy, dozens of other cases where Stand Your Ground law has been applied have cropped up in various states, and especially in Florida, where the law was first introduced. While some recognize the value in this law because it allows for deadly force in instances of self-defense, others perceive it as an allowance for the perpetuation of violence. According to legal analyst Kendall Coffey, who has been very vocal about his stance on the controversial law, “People who have been shot in the back have been pronounced, nevertheless, Stand Your Ground cases. Drug dealers in a fatal shootout, they’ve been able to invoke Stand Your Ground. What this law needs to get back to is self defense where it is reasonably necessary and where someone has the burden of avoiding killing someone if they possibly can,” of the ways that Stand Your Ground laws have been misused. Michael Dunn avoided punishment for the murder of 17-year-old Jordan Davis because of Stand Your Ground law, as did George Zimmerman in the case of Trayvon Martin. These are just two examples of many in which the law has been manipulated and used to exonerate acts of murder. To the surprise of many, Marissa Alexander of Florida was not allowed to use Stand Your Ground laws in her defense after being charged with three counts of aggravated assault for firing a warning shot. No fatalities resulted in the altercation between Alexander and her abusive, estranged husband, but she was originally found guilty and sentenced to a minimum of 20 years. It is horrific abuses of the law such as these that have allowed for offenders such as Zimmerman to walk free despite taking the life of a child. Now, Stand Your Ground laws are being evaluated more scrupulously in the eyes of the court, especially after so many high profile cases have implemented them. The climate surrounding Stand Your Ground law is certainly changing right now, and hopefully it will be changed for the better.